Trusts are one of the greatest estate planning tools at our disposal. Trusts can protect assets, reduce taxes, avoid probate, and leave a lasting legacy for friends and loved ones for hundreds of years. Trusts are important, which is why it is critical that a trustee performs his or her fiduciary duties. The Trustee has many important duties, but the one often overlooked is the duty to keep the trust’s beneficiaries adequately informed by providing a trust accounting. The duty to inform the Trustee is important because it allows the beneficiary to keep track of the trust. Otherwise, a trust beneficiary might never become aware of a breach of trust until it is too late to receive relief. The statute of limitations can prevent the trust beneficiary from pursuing a breach of duty action against the trustee if he or she never knows the violation occurs. The duty to keep the trustee informed is fundamental to the trust relationship. The trustee’s duty to inform the beneficiaries is important in Florida. So important that Florida legislatures recently amended the trust code to codify this duty, which can be found under Florida Statute section 736.0813. The statute states the trustee has a duty to keep the qualified beneficiaries of an irrevocable trust reasonably informed of the trust and its administration. A qualified beneficiary is usually a person that directly receives distributions from the trust. Within 60 days after the acceptance of the trust, the trustee shall give written notice to the qualified beneficiaries (as defined) of the acceptance of the trust and the full name and address of each trustee. Within 60 days of the date the trustee of a trust acquires knowledge of the creation of an irrevocable trust, or the date the trustee of a trust acquires knowledge that a formerly revocable trust has become irrevocable, whether by the death of the settlor or otherwise, the trustee shall give notice to the qualified beneficiaries of the trust’s existence, the identity of the settlor or settlors, the right to request a copy of the trust instrument, and the right to receive trust accountings. The Law Office of David M. Goldman PLLC represents individuals and families in Jacksonville, Ponte Vedra, and the surrounding areas of Florida with trust litigation. 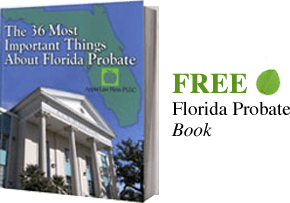 Our Jacksonville Trust Attorneys and Florida Trust Lawyers work with clients who live Florida or another state and with Florida Trust Disputes. Both Martindale Hubbell and Super Lawyers ranked our firm as one of the top estate planning firms in Jacksonville. In Florida, beneficiaries of a trust have a rights including the right to an accounting. If they do not receive regular accountings as defined by statute or the actual trust document, then the beneficiary may seek the court to compel the trustee to account for the trust’s assets. Other times accountings may be objectionable, and beneficiaries may have to seek judicial intervention to obtain a proper accounting. If you feel that there is something wrong with the way a trustee has handled your Florida Trust, or you feel like you as a beneficiary have been dealt with unfairly, CONTACT our Florida Trust Lawyers by email or call us at 904-685-1200 to discuss your situation today.